electing the right heating and cooling team is a very crucial decision. You want to know that they will do a good job repairing or inspecting your system and that they are someone you can trust in your home. At Breedlove Dobbs we pride ourselves on our technicians and their ability to serve our customers. In fact, we have won awards for our service. Awards and what a company says about itself aren’t the only things you should take into account. Below we have compiled a list of things you should look for. The first thing you should ask about is if the company’s technicians are certified. At Breedlove Dobbs all of our technicians are certified and professionally trained. They also go through training at regular intervals to make sure they are up to date on the latest methods and trends in heating and cooling. Each potential technician also receives a background check and drug testing. The next ting to check is whether the person being sent to help you is actually a technician. Some heating and cooling companies will send out a salesperson that is only coming out to sell you equipment or service. They more than likely won’t even be able to provide the service or install the equipment for you. If you find yourself in a situation where you have lost heating or cooling in your home the last thing you want is paying for someone to come to your home that can’t fix the problem. 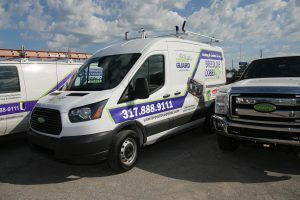 Breedlove Dobbs only sends out technicians on service calls and our technicians are also experts in all of our services and equipment available. This means you get the best of both worlds, someone who can fix your system if it can be repaired but also knows what can be done if the system is beyond repair. In the past we have heard many positive reviews about our technicians and how helpful they are on site. Some HVAC companies technicians come into your home and are not very forthcoming with information. Whether they don’t tell you what they are fixing or how some technicians can leave the homeowner in the dark. Breedlove Dobbs technicians will always go over what they are going to do and all the options you have before performing any service. Before choosing a heating and cooling company it is always smart to see what their previous customers have to say. For Breedlove Dobbs you can see our reviews here or feel free to search your preferred review site online and see what people are saying about us.